Healthy eating and nutrition in the elderly is greatly influenced by several factors, one of them being a change in body composition. During the latter years in life, the body will gradually lose bone and muscle and gain fat due to the fact that hormones are not as active as they once were. There are many factors which hinder an elderly person's health but by following a few simple guidelines when it comes to food and nutrition, a more healthy life can be realised, no matter what the age of the person. As people grow older, water in the body decreases which in turn can cause elderly people to become very easily dehydrated. Sometimes they will not even feel thirsty, whilst at other times it may just be too much of a chore to pour themselves a glass a water. With this in mind, it is recommended that they drink at least one ounce of water for every 2.2 pounds of weight. As we grow older, protein becomes more and more important in order to support a healthy immune system and prevent the wasting of muscle. Since energy requirements are less, older folks should eat high quality protein giving food such as eggs, lean meats, poultry and fish. Carbohydrates are the main source of energy for the entire body. 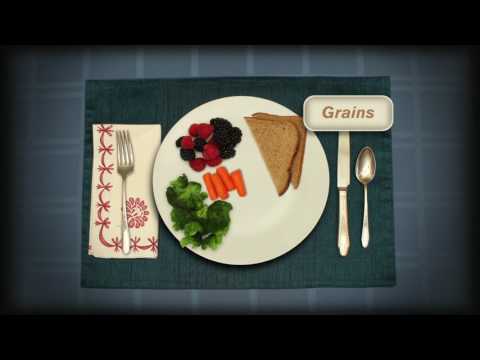 You can find carbohydrates in bread, cereals, pasta, and other grain products. A diet that is high in fiber and water will help to prevent constipation as well. Fat intake for the elderly should be limited but not eliminated altogether. Fat intake can be kept at an optimum level by choosing lean meats, low fat dairy products and food preparation methods that does not include frying. For the elderly, iron deficiency can be seen with those who are not eating as much or as well as they should. Good sources for the iron mineral include lean red meats and organ meats such as liver and kidneys. Breakfast cereals are another good source of iron. Zinc intake is normally low with the elderly, and to make matters worse, it is not absorbed very well either. Meat, poultry, and fish should be a part of your diet to help you meet the daily intake requirements for zinc. Calcium is one ingredient that most elderly folks simply are not getting enough of. Most harbour a belief that milk upsets their stomach, and therefore avoid it. They should be getting around 1,500 mg of calcium a day, and non fat powdered milk can be used in recipes as a substitute for milk. Other foods such as yogurt, low fat cheese, and broccoli can also help you meet the requirements for calcium. In order for the body to absorb the benefits of vitamin B12, something called the intrinsic factor must be produced by the stomach. Elderly people who experience a deficiency of Vitamin B12 quite often suffer from a condition known as atrophic gastritis. This condition causes inflammation of the stomach, bacterial overgrowth, and a deficiency of the intrinsic factor. Without the intrinsic factor, vitamin B12 can not be absorbed. Treatment of this condition involves an injection of vitamin B12 which would bypass the digestive tract. Each one of the above nutrients are needed to keep an aging body in good health. Elderly individuals should try to stay active and strive for a well balanced diet. Even though the aged body is not the same as it used to be, proper care and the right elderly nutrition can help seniors enjoy a healthy and long life.